Produced by the Airfix Model World team, Scale Modelling F-4 Phantom is a new 100-page guide, vital for anyone contemplating scale kit builds. Fascinating history text, reference photos and colour illustrations accompany five fantastic model builds, in 1/72, 1/48 and 1/32 scales. This is built as an RAF F-4J (UK), with accompanying text by former Phantom navigator Ian Black. 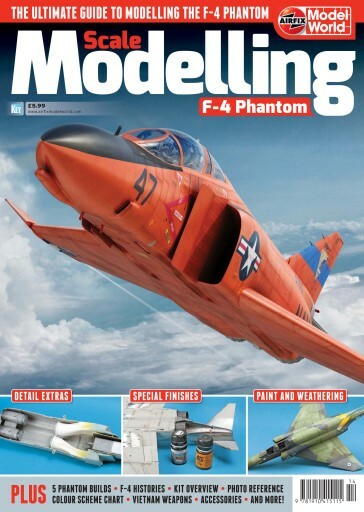 Our expert uses this recent kit to portray a MiG-killer in later US Air National Guard colours. This ageing kit is backdated to QF-4B status and wears eye-popping ‘drone’ colours.